Everybody thinks it won’t happen to them, but home burglaries are more common than you may think. Thousands of homes are burglarized every day, and the truth is that many of these incidents could have been prevented with some very simple measures. 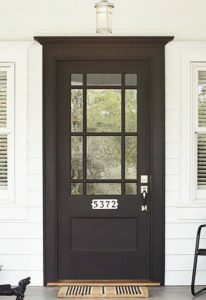 The front door is one of the most common access points for burglars. Add in the potential risk at your secondary doors, and it makes doors one of the greatest threats to your home security. For this reason, you need to check all of your doors to make sure they are secure. You should check your locks to make sure they are properly installed and that they function as they should. If you do not have a deadbolt, you should have one installed. Make sure your door frame is strong and consider the quality of the hardware. If you want to improve the security of your door, you could consider installing hardware like a reinforcement plate and a strike box. A home security system can be one of the most effective ways to protect your home from burglars. You have a wide range of different types of security systems from which you can choose. Before purchasing a home security system, you should consider the features that are available. Some systems are relatively simple and can be installed by the homeowner, and there are others that are more sophisticated, but they may require professional installation. With newer security systems, you get more than just motion detectors and alarms for your doors and windows; these systems connect with your Smart Home features to provide a more complete form of protection. Many of these newer systems allow the homeowner to monitor and manage the system from a phone or tablet, and they even keep access records so you know when people are coming and going. If your security system comes with signs and window decals, put them up. On its own, a security system can be very effective, but the signs act as an additional deterrent. Most burglars are opportunistic criminals. When the scope for a home to burglarize, they look for the soft targets. With security signs posted and decals in the windows, it will let burglars know that your home is protected. With that knowledge, they will be more likely to move on to an easier target that presents less risk. Burglaries do occur in broad daylight, but these criminals also like to act under the cover of darkness. With some strategically placed exterior lighting, you can remove many of the shadows and dark spaces from your yard, and this will eliminate much of the space where burglars may feel comfortable breaking into your home. You want to try to think like a burglar when placing lights on the exterior of the home. Look for access points that might otherwise be dark. Cover the front and back of the home, and if there are any windows or doors on the side, try to add some light there as well. As an additional point, consider whether you want lights that you turn on with a switch or lights with motion detectors. 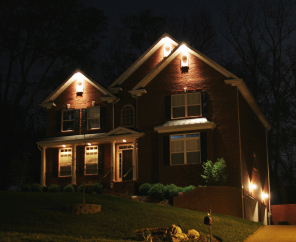 Motion-activated lights can be a more effective deterrent and they are better for energy efficiency. After doors, windows are the most common point of access for burglars. First-floor windows are the ones most likely to provide access to a burglar, but you also need to consider any windows on the second floor or basement. If you want to guarantee the security of your home, you need to inspect the locks on your home windows and make sure they cannot be opened from the outside. The first step is to just check your windows to make sure the locks are secure. Lock your windows and test to see if you can open them from the outside. If it is a second-floor window, just lock it and see if you can force it open. If you are concerned about the security of your window locks, you can buy new locks or security hardware that prevents opening from the outside. However, it is important to note that different types of windows will require different types of locks and hardware. Security cameras are listed as one of the most effective burglary deterrents. No burglar wants to be recorded as they commit their crimes. For this reason, it makes home CCTV cameras one of the smartest investments when it comes to home security devices. This is another home security measure that offers a lot of options. You have a variety of choices when it comes to the type of camera and placement, and there are now systems that can do more than just record. New Smart CCTV systems connect to the internet and this allows for features like remote monitoring and cloud-based storage and recording. Bushes or shrubs might look nice near the home, but they may also act as convenient cover for criminals that want to break into your home. Burglars do not want to act out in the open, so they look for places where they can commit their crimes from concealment. If you keep your bushes and trees well trimmed, you eliminate some of these hiding places, and it can help to keep your home more secure. Furthermore, you want to look for any trees that can provide access to the second floor of the home. Most burglars will stick to doors and first-floor windows, but there are some that will climb a tree to access second-floor windows. These tips can help to improve your home security, but it doesn’t end there. Having a secure home is as much about what you do every day as it is about the security features you install. You have to lock your doors and windows at night and when you are away from home. You should also be careful about what you do with spare keys, and if you have an alarm system, you should change the code once a year. With a home safety checklist and these few tips on secure your home can keep your family was becoming another statistic.